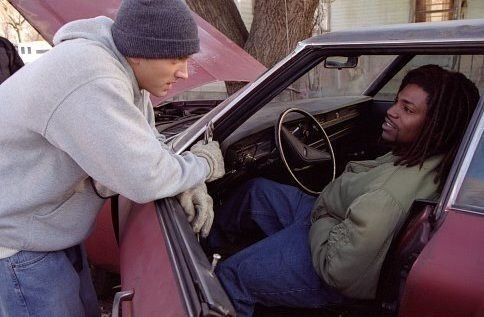 8 Mile. Stills of eminem in 8 Mile.. Wallpaper and background images in the eminem club tagged: eminem marshall mathers slim shady 8 mile eminƎm. This eminem photo contains mobil, auto, suv, and truk. There might also be rak ski, ski rak, tailgate, tailboard, and bak truk.